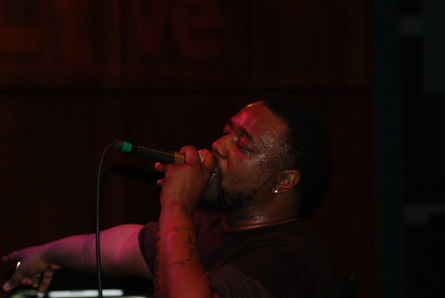 Phonte. Photo by Leon Laing. The Foreign Exchange set the tone at the beginning of the concert with “Call It Home,” one of the standout songs from Love in Flying Colors. 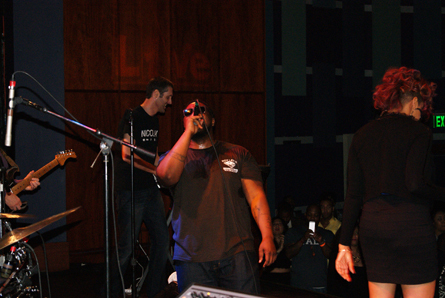 The neo soul, electronica, hip-hop group performed at World Cafe Live in Philadelphia on May 4. FE consists of super producer Nicolay, who hails from Netherlands, and North Carolina-based rapper/singer Phonte. Drake has collaborated with Phonte and named the rapper/singer as one of his favorite rappers. Singers Darien Brockington and Eric Roberson have also worked with FE. 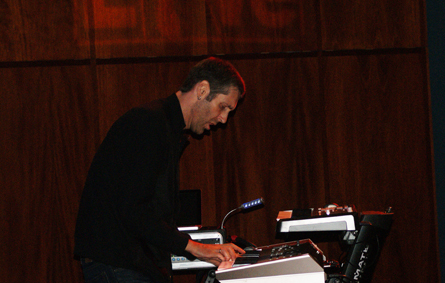 During the concert, three keyboardists (including Nicolay), one guitarist, one drummer and two female singers accompanied Phonte on stage. With the height of an NBA guard, Nicolay towered over the rest of the band. 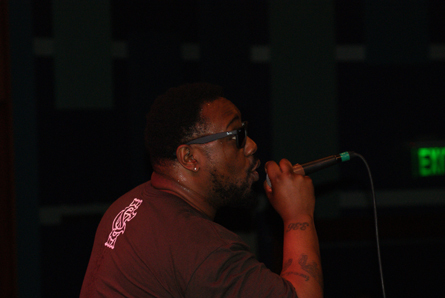 Phonte has the word “harmony” tattooed on his left forearm. If you’re a Phonte fan, you’re aware of his sense of humor. In between songs, Phonte chatted with fans. He said he’s fascinated with Naked and Afraid, a reality show about naked people who attempt to survive in the wilderness. “It’s like Survivor on steroids,” Phonte quipped. He also joked around by doing some choreography from Dru Hill’s “Tell Me” video. 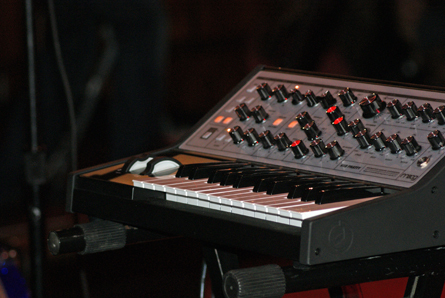 By the end of the 20-set song set, FE fans witnessed soothing ambient music, fun times and camaraderie. Nicolay. Photo by Leon Laing. Phonte (front) and Nicolay. Photo by Leon Laing. Keyboard. Photo by Leon Laing.